Fayetteville, NC Birthday Yard Flamingo Flocking! Happy Birthday!! 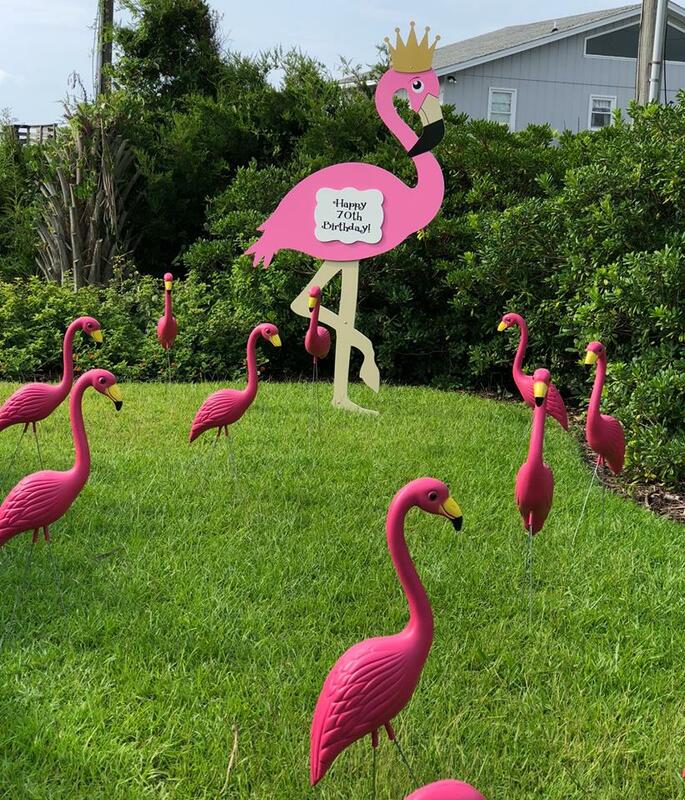 We were thrilled to help surprise this sweet lady with a pink flamingo yard flocking! Let us help you celebrate the birthday girl or birthday boy with a fun display of yard flamingos for a big way to say HAPPY BIRTHDAY! We proudly deliver birthday yard card displays and stork rental birth announcements throughout the greater Southern Pines area, including Fayetteville, Sanford, Apex, Hope Mills, Cameron, Carthage, Pittsboro and surrounding towns. Call us at 910-723-4784 or visit us on Facebook!